The FIFA World Cup is back and whether or not you’re a football fan, resistance is futile. Here are the sports bars where you’ll want to watch the action around the city. It’s no secret, Singaporeans absolutely love football. Man U’s jersey is the equivalent of our national costume and 60-year-old men scream louder than their grandchildren whenever a match is on. 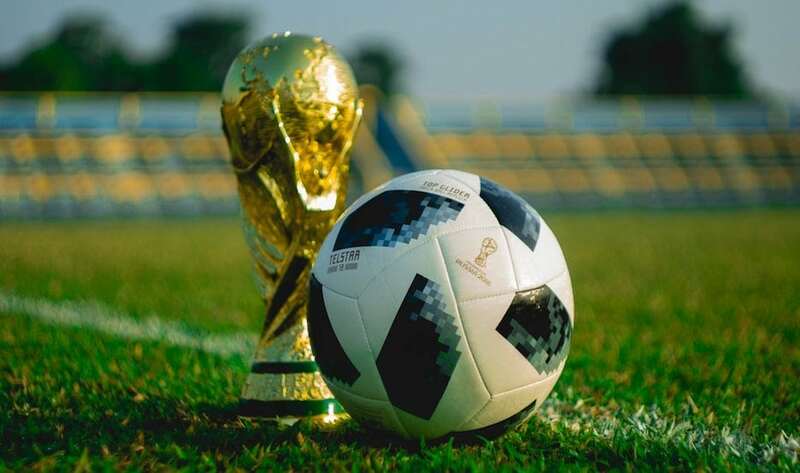 The FIFA World Cup is kicking off in Russia on the 14th June, and with a whole month of matches until the 15th July, we all know just how fun it’ll be to watch it at a bar with fellow football enthusiasts before hitting a late night restaurant. So whether you call it football or soccer, it’s time to grab your jerseys and your mates: you’ll need this roundup of the best sports bars in Singapore to watch this exhilarating tournament. This pristine complex is soon to be the rowdy Wembley Stadium. Football maniacs will be delighted to know that they will soon enjoy coverage of the World Cup from eight different establishments within this architectural oasis. Go loco at El Mero Mero, hang out at the ever-reliable Harry’s bar and dig into the delectable food over at Berlin’s. Fair warning: Do expect one heck of a crowd! Out late? Hit up these bars. For classic Australian pub food and a place to down several cold ones, this is your haunt. Sports freaks will also be happy to know that this spot has several wide flat screen TVs. If you’re really starving, we recommend the Wagyu beef burger and the devil’s rib. Feeling adventurous? Go for the peppered Kangaroo loin. Obviously, you’ll also be wanting a few beers from the wide selection here. Oh and for the record, Boomarang isn’t a typo. Just think of ‘A’ … looks like a boomerang doesn’t it? This German pub is exactly where you would wanna be when World Cup fever hits. Apart from its massive TV screen, the outdoor area also plays host to many football fanatics, all at potential risk of falling into the nearby fountain in the midst of their boisterous celebrations. Half-drunk people aside, this joint boasts some serious beer, categorized by countries. Oh, and don’t forget to say hello to the old aunty helming the kitchen, she makes a wicked pork knuckle dish. 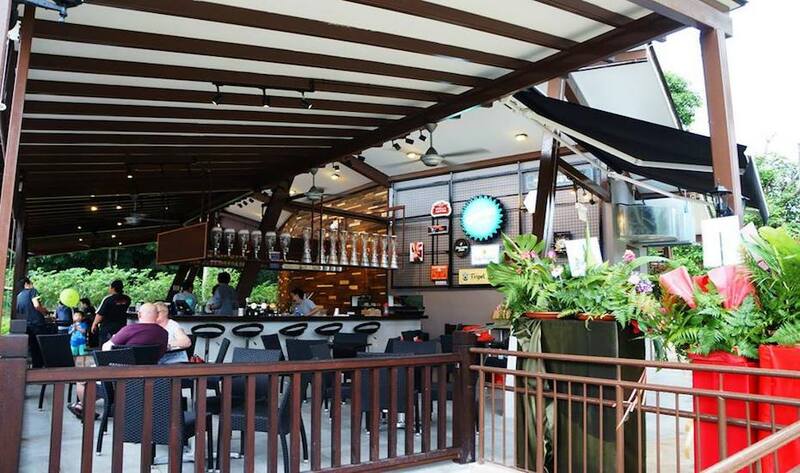 A scenic view and diverse range of drinks are why BQ bar is such a favourite amongst Boat Quay dwellers. 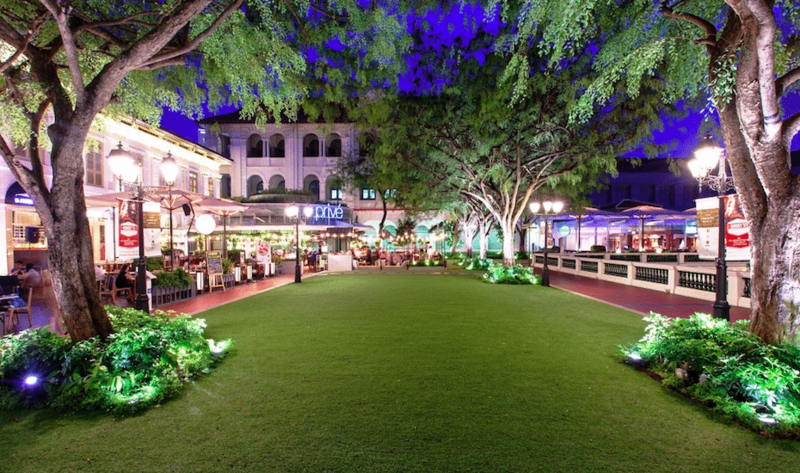 Just for the World Cup, this upscale joint has various packages for up to 200 pax. Join the exuberant crowd here but be warned, no one stops at one drink. You didn’t think we would compile this list without including at least one Irish bar. 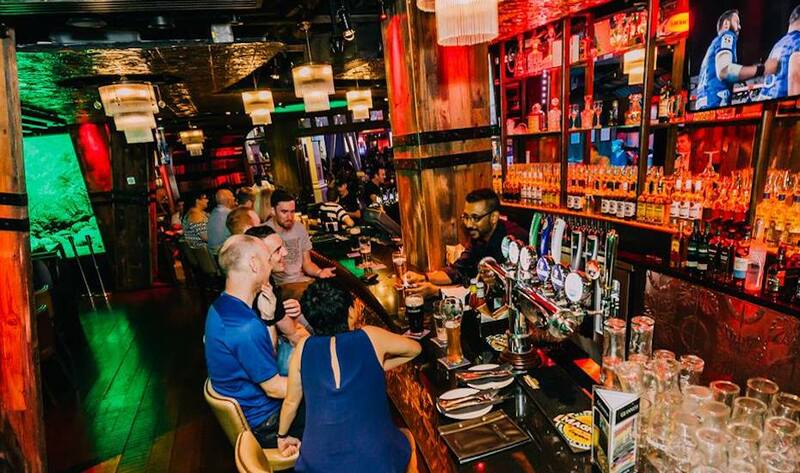 McGettigan’s consists of two areas, a live singing and dancing area for fans of the winning team to celebrate, and a quieter area for the losing fans to drown their sorrows. However, both parties would be happy to know, this vibrant pub serves some tantalising food. The fan favourites here are the Guinness pie and the Irish breakfast! If Irish Pubs in this city had a queen, it would be Molly Malone’s. 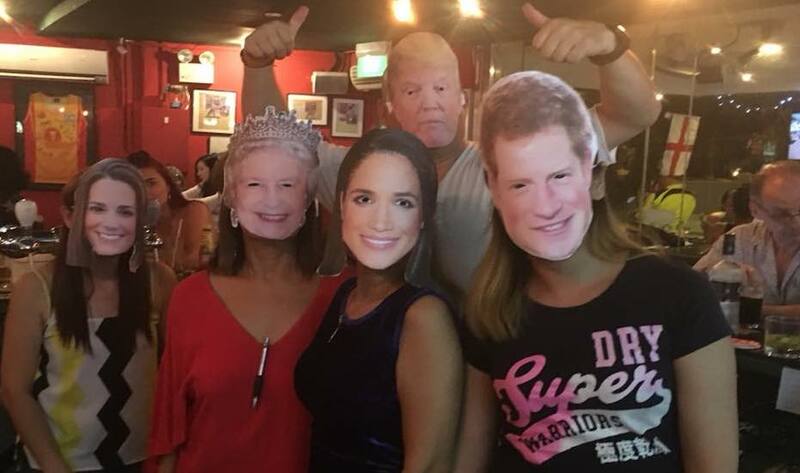 The first ever Irish pub in Singapore continues to bring the good stuff with its menu of classic bangers and colcannon mash, famous fish and chips and stew to enjoy with Irish beer and whiskies. We’re glad they’re screening the World Cup this year because for old-school debauchery, there’s really no better place than Molly Malone’s. Fun fact: Urban Fairways is actually an indoor golf club. Apart from its insanely cool simulator, they offer lessons conducted by a certified instructor. But this time the club is straying from its usual sport and will be screening the World Cup live. Enjoy hot dogs and pizzas but don’t forget to order an ice cold Peroni! If you’re looking for a chill place that isn’t bustling with chatter, this is your joint. 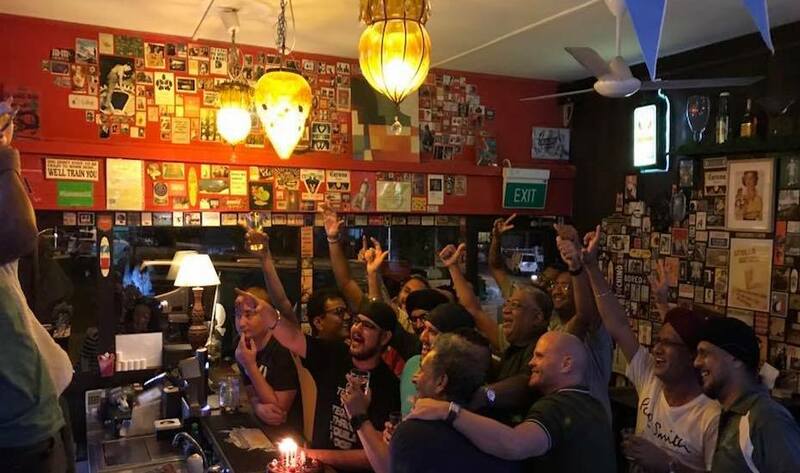 This kampung style bar will satisfy all your World Cup needs – a cooling ambience, pub grub, and most importantly ice cold beer. It’s also overlooking the prawning pond and main fishing pond, so if you’re feeling restless (or perhaps your team is getting annihilated), you know what to do. An all-time favourite of the residents in this area, and for good reason. A park is this bar’s backyard, and it has both outdoor and indoor seating. The best part? Their house beer is dirt cheap. While we don’t know what special drink promotions they have for the World Cup, we hope they bring back the $1 pints! This bar is part-owned by two Man U legends – Gary Neville and Ryan Giggs. But really, that’s the only downside. With its hearty grub and range of alcohol, this football-themed bar boasts six TV screens and even a place for darts. Conclusion: Perfect for a night of World Cup revelry. With its laid-back vibes and alfresco setting, Atmosphere Bistro is a perfect representation of life in the Eastside of Singapore and should definitely be on your list of places to catch the World Cup. 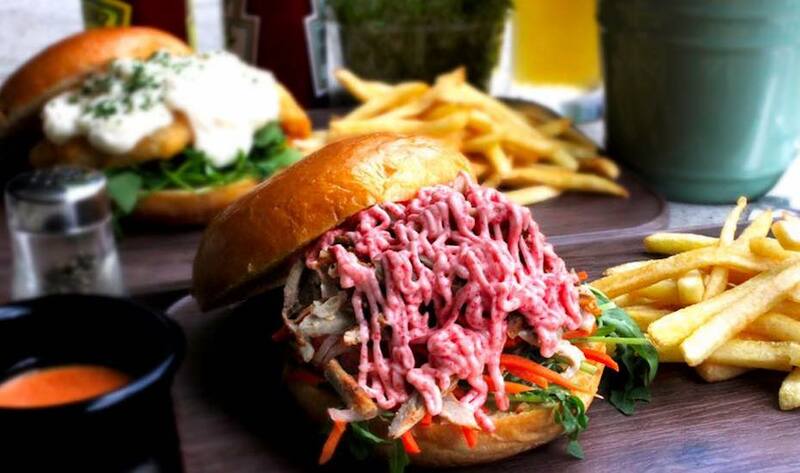 Its burgers are out of this world and the booze deals are a real bargain too with a Heineken tower going for $48, 3 pints for $30 and many more. A cosy enclave that’s perfect for old-fashioned fun, this bar serves up an exquisite mix of cocktails and high-quality spirits. Aside from screening live football, there’s also darts, pool and arcade games. But the winner here has to be the karaoke room, where disheartened football fans can seek refuge in when their team loses. People say the best way to a dog’s heart is a juicy bone. We say the best way to our hearts are pints (note plural) of beers and an opportunity for a night of merrymaking. At Dog & Bone, they offer lotsa beer, show sporting events, and organise occasional quiz nights. So yes, you can say this quaint pub has won our hearts. For those of you training to be Ronnie O’ Sullivan, but at the same time unwilling to miss that important World Cup game, this is where you should be. Apart from hosting regular pool tournaments, this bistro also cooks up some mouth-watering dishes – do us a favour and try the chicken chop. Nocturnal creatures will also be pleased to know that the kitchen is open until 3am on Sunday to Thursday and 5am on Friday and Saturday. This is your quintessential neighbourhood bar. Not the hippest or trendiest bar, but what it lacks in style points, it makes it up with its cozy ambience. The large TV screens and chillout area brings the mood, and the draft beers and delicious grub makes the overall experience at Lazy Lizard a perfect 10/10. Classic beer battered fish and chips and British beers? Count us in. This neighbourhood pub is adorned with a vibrant mix of vintage decor, photographs and of course, a Jolly Roger flag. With its under $10 pints during happy hour and free pool on Tuesday’s, Jolly Roger could just become your second home! 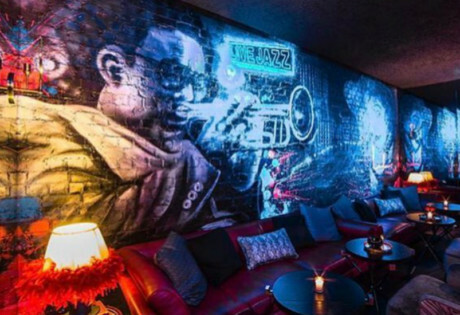 Have you found these hidden bars around the city? 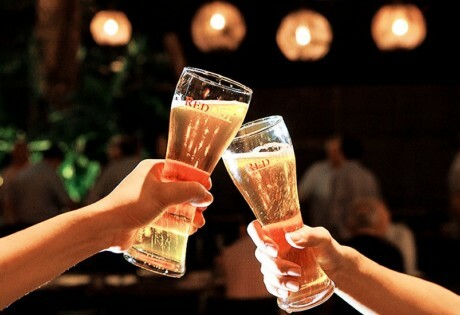 Craft beer lovers, meet Singapore’s first family owned microbre..